Hey gang! 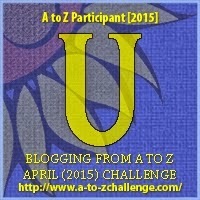 Welcome to U-Day at the ole A to Z Challenge.So, today's assignment is to post something that has to do with the letter U. So what better than the life story of the letter U? So, without any further ado, here is a brief history of the letter U. Once upon a time, as all good stories are wont to begin, there lived a little letter u. But back in these early days, the little letter u was not really a u at all. Nope! Back in the Middle Ages (which were probably not called the Middle Ages at the time) the little letter u was really a little letter v. Or was it that the v was actually the u? Were they the same letter? Perhaps...or perhaps not. Confused yet? Good. Here's the dealio (or is that the dillio?) from the fine folks over at Wikipedia: The little u was actually a little pointed v, and the little pointed v was used at the beginning of a word, while the little rounded u was used in the middle and/or end of words. So words like valor and excuse (if they wrote in modern English back then, which they did not) would look so-called okay, but at the same time, words such as have and upon would actually read haue and vpon. Yeah, quite silly, indeed. But alas, poor little rounded u was often seen as a secondary citizen to that little pointed v.
Even back in the days of the Gothic Alphabet, v would come before u in the whole scheme of things. Poor little u, even after become an older, wiser U, always had to take a back seat to that damn big V. Even to this day, poor hapless (but still quite proud, dammit!) Letter U is often unceremoniously squeezed into nearly every word with a Q. But hey, in today's modern day texting world, U is used much often than that damn, filthy V. So, at least the guy has that going for him. So there you have the (somewhat sad) story of the Letter U. Toldjya it was gonna be brief. Anyhoo, tomorrow, we are going to take a brief look at that aforementioned filthy Letter V. After that, we will be back to so-called real posts, about so-called real things. For now...that's it gang. See ya 'round the web. 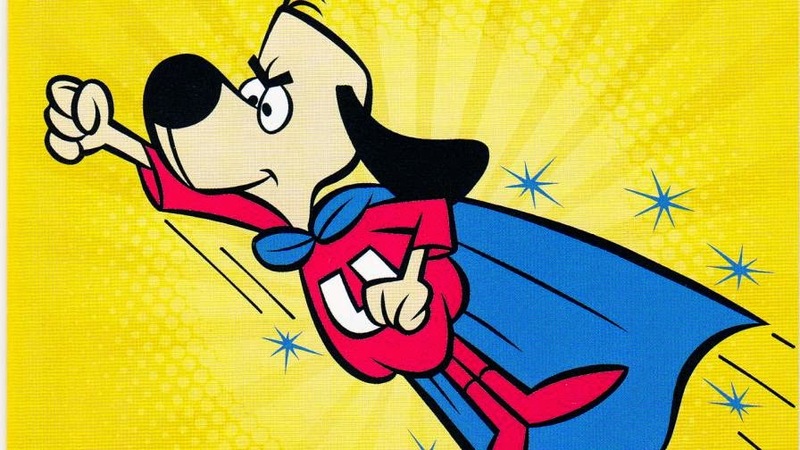 Now, just to add to the silly aura of this post, here's a picture of Underdog. Enjoy.